Since it first hit the town, the sculpture has appeared in movies, impressed tourists, and overseen public gatherings of all kinds. Patricia Balton Stratton, author of “The Chicago Picasso: A Point of Departure,” joins host Phil Ponce to discuss the sculpture. Collaborative arts programming is made possible by the Richard and Mary L. Gray Artistic Collaboration Fund. Aug. 12, 2016: Thanks to an extension of Statue Stories Chicago, you still have plenty of time to chat with the Tin Man and Dorothy in Oz Park. 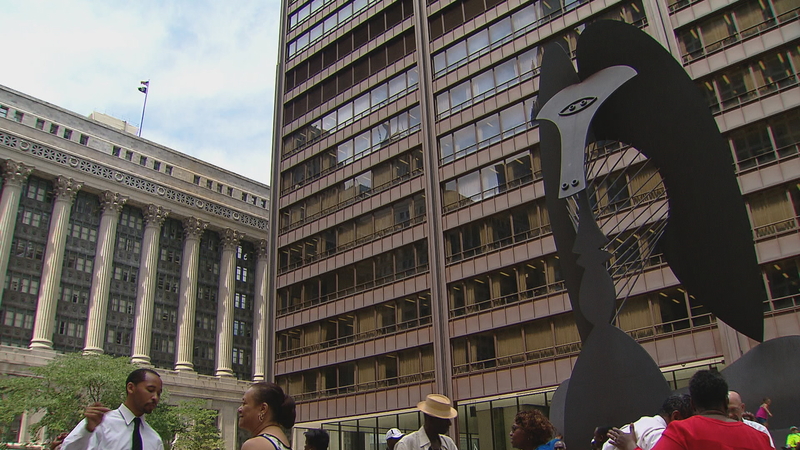 Aug. 6, 2015: Thousands of people walk past dozens of statues in Chicago without a sideways glance. But what if one of them called you with their story? That's the idea behind Chicago Statue Stories.